Supports: 4k x 2k, 1080p and 3D. degradation, drop out and no signal errors, our repeater will resolve this issue by. 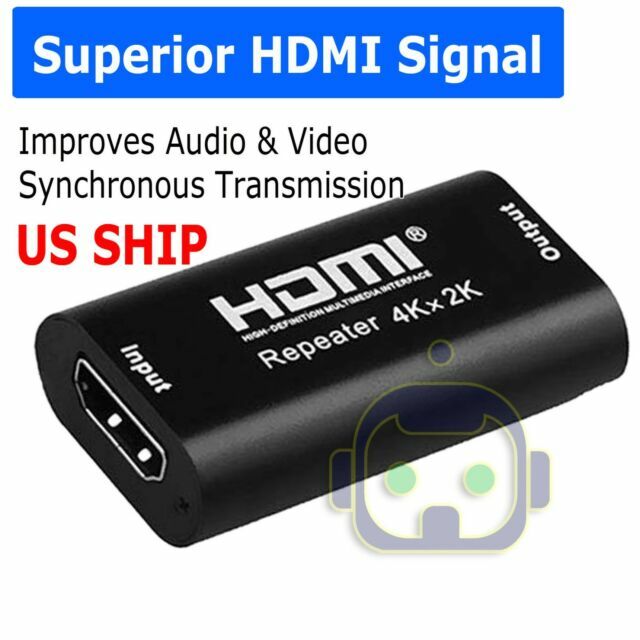 standard HDMI signal, so it can extend the transmission range without degradation. I had Hdmi runs of different lengths and this extender did not work on the ones over 50ft. Didn’t bother to return them cuz they were cheap. Barely any better than running the Hdmi by themselves. Nothing like it was advertised to do. Hooked 2 HDMI cables together with the amplifier and got no signal out of the cables to monitor.